After a razor-tight Game One that saw five lead changes before a 46-43 St. Petersburg win over a gallant Tampa Bay Bombers side, the Bloods hit the afterburners in a windswept Game Two, running out 75-50 winners in the Saturday nightcap at Largo Sports Complex in Largo, Florida. The result secured a crucial eight points on the ladder for St. Pete, now 7-1 (28 points). A frustrated Tampa Bay side dropped to 2-6 (8 points) on the season. 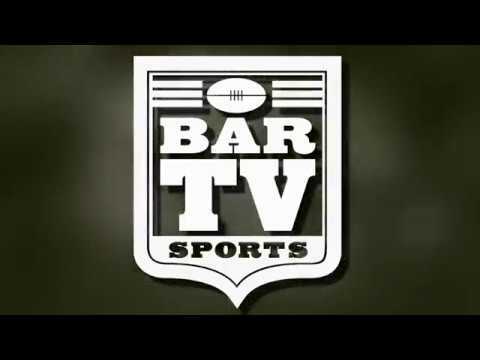 Both sides have just two games remaining as the 2018-19 Major League Footy Premiership Season makes its turn to the home stretch. And, while the Swans currently sit comfortably above the pack, they’ve by no means yet avenged for a Summer Season that ended one win shy of the flag. Tom Mathew and Dustin Jones led the Red and White charge, while Robbie Scarallo, Curtis Speller and Adham Makki spearheaded a spirited effort for the hard-luck Bombers. 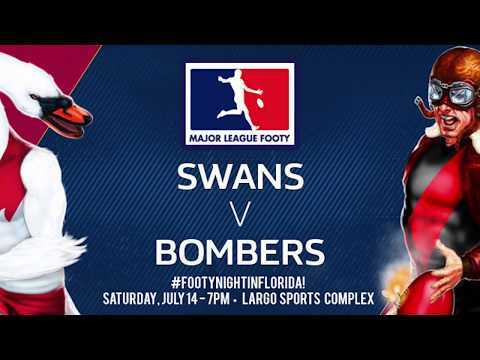 The Swans also saw stand-out performances from rookies Nick Wright and Jonathan Johnson; while newly-converted fullback Jake Keglor’s booming clearing kicks helped the Bombers repeatedly flip the short field. CATCH THE SWANS @ SPIRIT OF ST. PETE!